What’s the best way to create a business website? You are here : : Home > Free Resources > Web Design > What’s the best way to create a business website? To create a website, you could use a website builder, or a website template, or choose the custom web design route. A website builder is free and provides an all-in-one service for web publishing, hosting and web development. Professional website templates save on time and cost, are fully customizable and match the latest UI and UX standards and website design trends. A custom website can handle complex functionality and create a unique space for your company on the web. However, it takes longer to develop, provides just two design options, and can cost up to many times more than a website template. A website builder is an all-in-one SaaS (Software-as-a-Service) solution for web publishing, hosting and web development. It’s a completely managed WYSIWYG (What You See Is What You Get) system, where you don’t need special skills to set up your own website. All the programming and coding is handled for you. When building a website, you can choose a template, add elements and your text and images, and customize it to the look you desire. You have complete editorial control. User-friendly tools like drag-and-drop editors, search engine optimization (SEO) and customizable templates simplify the process. These website builders offer flexible pricing plans. Popular ones are monthly recurring plans for $20 per month. Many website builders like Wix, Weebly or Jimdo are free, with options to upgrade to their paid platforms. You don’t need special technical knowledge, coding or programming skills to create a website. You know what you want from your website, all you need to do is choose a template and customize it with your content and images. The all-in-one website builder offers an editorial and publishing platform with hosting solution so your website is live online. As with all services, free or otherwise, there is a learning curve on your part. It may take time to get the result you want. You’re bound to your service provider (and hosting service) as long as your website is on their platform. You can’t change your web host even if you want to migrate your site to a different hosting provider. Since you pay a monthly charge, over the course of a few years, you may end up paying many times more than you would pay for template customized by a professional. On the other hand, a professionally customized template is hosted on a hosting provider of your choice and delivered to you on completion of the project. You have control over the source files, the content, everything. You are also free to change the web host at any time. A second option to create your business website is to choose a professional website template and customize it with your content. Created to match the latest UI and UX standards, these templates are designed by experienced web designers and offer you a wide range to choose from. There are templates for transportation, education, power, airlines, tools, restaurants, sports, weddings, ecommerce, cars, computers, books, beauty, communications, architecture, art and photography, agriculture, pets, flowers, gifts, hotels, gardens, wine, travel, jewellery and a whole lot more. You will find fully customizable templates that follow the latest web design trends – responsive web design, minimalism, flat user interface, large backgrounds, large images, sticky navigation with fixed headers/fixed position design elements, HTML5 and CSS3 for functionality, speed and performance, single color websites, bold fonts and more. Professional website templates are available from $64 to $250 depending on the type of template and a website complete with professional customization can cost you from $550 to $1500 depending on your requirements for the site. A website template shows you upfront what your site will look like, what the site navigation will be like, the look of the colors, text, images and so on. All you need to do is pick a template you like, buy it and you're ready to customize it with your text and images. Custom development will take 4-5 times longer to set up a website of your own. A website template costs much less than custom web development – an educated guess would put the cost at one-fourth to one-third of a custom site, depending on the specifications. Keep control of your web host. You're not tied down to one particular web host - you have the freedom to choose the one you want, and to change the web host at any time. Stay in control of your content and source files. Even after professional customization, your content and source files are handed back to you. Not so in the case of website builders. 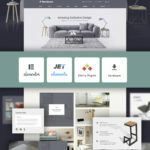 Customize with your own images and text - your site looks different!Although the same template may be re-used by hundreds of other users, customizing it with your unique text and images makes it stand apart. Also there are millions of websites on the web these days, making it improbable that your customers will see other websites with the same design as yours. Your site is not unique. Professional website templates are bought many times over and used by different users - so your website may not look unique. On the other hand, millions of websites on the web make it unlikely that your customers will stumble on other websites that look exactly like yours, provided you have customized your professional template with your own text and images. Allow for the learning curve. If you’re customizing the template yourself, you may need to invest some time to learn the process. Unless you have some coding and design knowledge, this could eat up precious time that you could spend setting up your business. Even professional website templates have limitations. Generally they are designed for websites with standard modules/functions such as a gallery, blog, contact form. They may not be adequate for large, database-driven websites with complex functionalities. Building additional functionalities into website templates can be a complex, time-consuming process which will increase the cost and could affect the stability of the site. It may prove cheaper in the long run to opt for custom design in such a case. A third option for a business owner to opt for is custom website development through a professional web developer or web design company. Here you need to spell out clearly the brief on which the professional developer will base his design. This needs to be done in writing to kickstart the web design process and get it right. What do you want from your website? Can you define the look and feel? What kind of content will the site contain? Would you be writing the content or would you need a professional content writer to do this? You may need to separately brief the writer, send information, approve the written content and source photographs/videos or other content before the designing work takes place. This can be a confusing and sometimes frustrating time as customer, designer and writer go back-and-forth trying to spell out/understand the specifications. Meanwhile, you want a website right now! Professional web developers have the technical knowledge , design skills and content writing expertise to create a custom website according to your specifications. A custom website can create a unique space for your company to shape its brand image on the web. You can choose your web hosting provider although your design company/ designer may suggest a service. Limited design options – usually just one or two custom design options (unlike the thousands of template designs you can choose from, where what you see is what you get). You may not be fully satisfied with the look of the website even after investing a lot of time in its development. Changing the look is not as simple as swapping templates. Custom website development takes longer as professionals are engaged in other projects too, and need to schedule your project. Turnaround times can be slower. Custom development is more expensive - can cost from $1,000-$3,000 depending on your requirements. Projects requiring sophisticated backend programming can push up costs still further. Website builder, website template or custom website design? Professional website templates and customization services - We recommend this option for those who want quick-turnaround, budget-friendly and quality web solutions along with the freedom to choose their web host. You can purchase a website template and customize it yourself, or we can do it for you. Entheos presents a range of over 45,000 professional website templates, and a professional template customization service for just $499. Select from Responsive web templates, JS Animated, Flash Animated, XML Flash and Dynamic Flash templates, HTML 5 or Moto CMS HTML templates. We offer CMS templates for open-source Content Management Systems (CMS) like WordPress, Drupal, or Joomla. And ecommerce templates for online stores on platforms like from Magento, Prestashop, OpenCart, ZenCart and Jigoshop to OSCommerce, VirtueMart and WooCommerce. 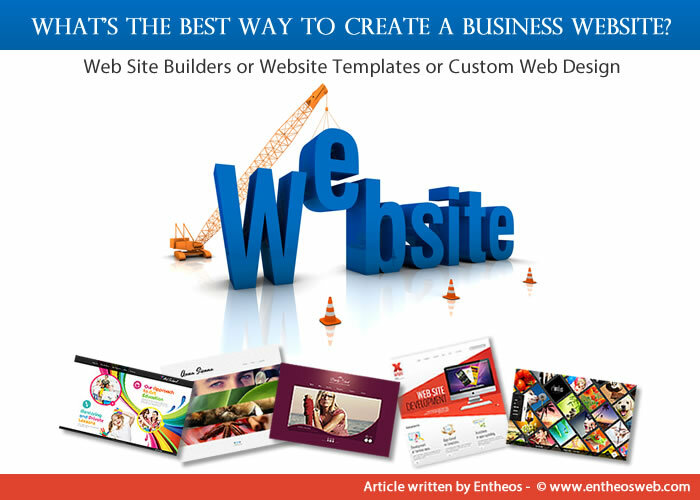 Entheos’ template customization service gets your website up and running while you are free to focus on your business. We can also custom-design your logo and write content for your website for an additional fee. Custom website design to your specifications, for static and dynamic websites. Check out our portfolio and our package deals! We invite you to read our client testimonials. And contact us to get started on your website!